Recently opened a bottle of Etude Pinot Noir and time certainly slowed down, and I drifted over to the bookshelf to read a few pages from James Salter’s Light Years. A novel that pairs well with a good wine and early evening. Enjoy Mr. Furrow’s musings. Soon I’ll post on my adventure with tongue. 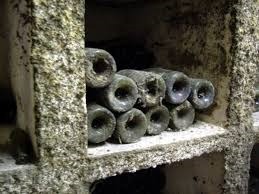 If you’ve been reading this blog you know I love well-preserved aged wines. But there is more to aged wines than just flavor. My essay at Three Quarks Daily considers old wine as the celebration of lost time.